For phone or mail registration, please contact Nancy Boudreaux at (210) 872-2078 or nancy@taptp.org. Registration form (pdf) can be downloaded here. Overnight accommodations may be made directly with the host hotel or other hotel of your choice. 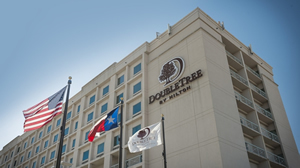 Please note you can only receive the “Good Neighbor Rate” of $169/night plus taxes by calling the front desk at 214-357-8500. Morning and afternoon breaks and beverage service is included in registration. Breakfast and Lunch are on your own.